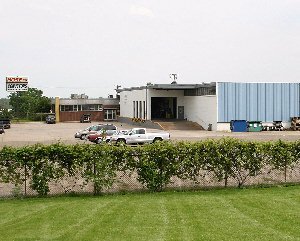 With a 70,000 square foot facility in Eagan, MN Hose/Conveyors, Inc. is proud to serve the five state area– Minnesota, Iowa, North Dakota, South Dakota, and Wisconsin. Never have so many products, capabilities, and services been offered under one roof—making HCI the premier conveyor belting manufacturer/distributor and conveyor fabrication services supplier. Serving the five state area, HCI’s specialty equipment and talented technicians provide all our industries with the most extensive selection of conveyor belt fabrication services in the area. Hose/Conveyors, Inc. has a full capacity belt fabrication shop for both Rubber and Thermo-plastic belting. Capable of the widest range of cleat arrangements for your belting needs. Have a specialty rubber cleat application? Hose/Conveyors, Inc. builds all of its own rubber fabrication dies in-house and can accomplish any cleat size and profile arrangement. Contact us to discuss your special needs. Cleat Notching and cut outs. Hose/Conveyors, Inc. complete fabrication capabilities include cut-outs, V-Notch, recessed, and notched v-guides as part of the primary or secondary fabrication process. 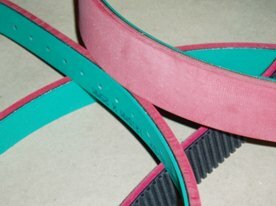 Step Splice: Used on belts with multiple plies. 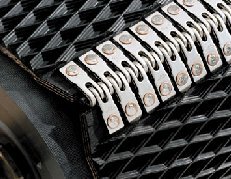 The belts can be vulcanized hot or cold using uncured rubber, thermoplastic or glues as the bonding agent. The spice is almost as strong as the original belt. Single Finger Splice: This splice is used on thermoplastic belting with single or multi plies. The cover material when vulcanized will re-melt into itself and produce a smooth, strong and almost unnoticeable splice. This endlessing process is done under heat using a pressurized vulcanizing press. Finger over Finger Splice: This splice is used on multi plied thermoplastic belts where additional strength or small diameter pulleys are used in the application. This endlessing process is done under heat using a pressurized vulcanizing press. Skive Splice: This splice is normally used on nylon core power transmission, process belts, machine tape belts and some thermoplastic belts. This splice is also done under heat with a pressurized vulcanizing press. Hose/Conveyors, Inc. is proud to carry the full line of Flexco Products. More details on our fasteners can be found Here! All our belts can be hole punched to your specifications. This is done to attached elevator buckets or special conveyor attachments in a secondary fabrication process. Hose/Conveyors, Inc. assures accurate hole punching by using a die cutting machine or precession machined templates by having this operation in house. 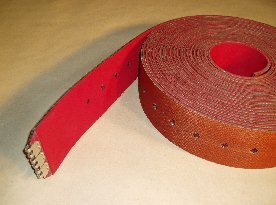 All belts can be perforated to your specifications for vacuum or drainage applications. Hose/Conveyors, Inc. assures accurate hole punching by using a die cutting machine or precession machined templates by having this operation in house. Conveyor Pulleys can be lagged in our shop. Lagging pulleys with rough top belting, ceramic, flex-lag or slide-lag products enhances the coefficient of friction between pulley and belt, helping to ensure a positive drive. Our lagging process includes both cold bonding and/or rivet fastening. 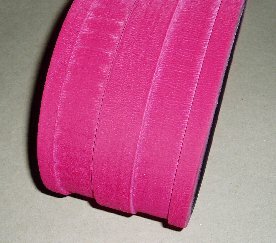 Thermoplastic belts can have the edge capped. Edge capping provides protection from delaminating and fraying. It also helps prevent introduction of foreign material (water, food products, and chemicals) into the carcass. 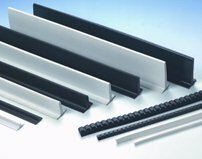 The capped edge is homogenous with the belt construction and is USDA/FDA and 3A Dairy Industry accepted. 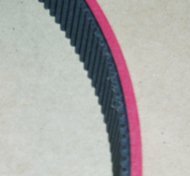 For those applications where conveyor belt skirting or other containment system wears through the top cover of the belt causing premature belt failure, wear strips can be the solution. On rubber conveyor belts an extra ¼" thick x 4" wide strip of rubber is vulcanized to the outer edges of the belt for increased belt life. Many belts used in manufacturing need to be grooved or beveled. This fabrication can be performed on regular belts, endless belts, or belts with special laminated covers (see laminating capabilities). Hose/Conveyors, Inc. looks forward to the opportunity to work with you on your die cutting needs. For applications that require extra wide belting, Hose/Conveyors, Inc. can splice together belts making them wider than industry standards. Our custom designed equipment, manufactured in-house, allows for this process of longitudinally splicing two or more belts together. Some non-belting applications for this process include curtains, pit covers, floor mats. Hose/Conveyors, Inc. offers full lamination services on flat belts, timing belts, v-belts, poly v-belts, and truly endless belts. Our covers are permanently bonded with specialty equipment and highly skilled technicians. Hose/Conveyors, Inc. can supply urethane timing belts, wire or Kevlar reinforced, to any length. Cleats, v-guides and wear resistance covers can be installed on these belts to your specifications. Hose/Conveyors, Inc. has an expert service department. With our highly trained technicians and specialty equipment we can handle all your on-site endless belt needs quickly, efficiently and cleanly. With extensive conveyor products fabrication services and conveyor parts inventories like no other, Hose/Conveyors, Inc. clearly brings value to any industry. Contact us today–we promise excellent quality belting products and fabrication services for all your conveyor belting needs.